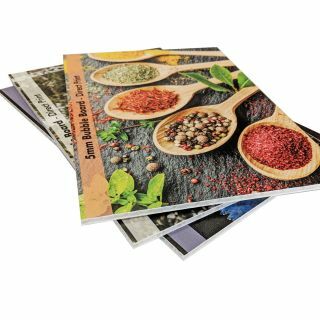 Bubble Board is an ideal alternative choice to other rigid board printing such as foamex or correx. 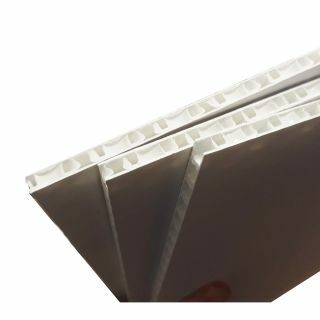 The cell structure of the bubble allows the sheet to be manufactured at a lower weight than other polypropylene sheets but still retain a strength and rigidity which outperforms its natural competition. The board can be digitally printed direct or vinyl mounted, and is ideal for professional looking signage suitable for indoor and outdoor use. 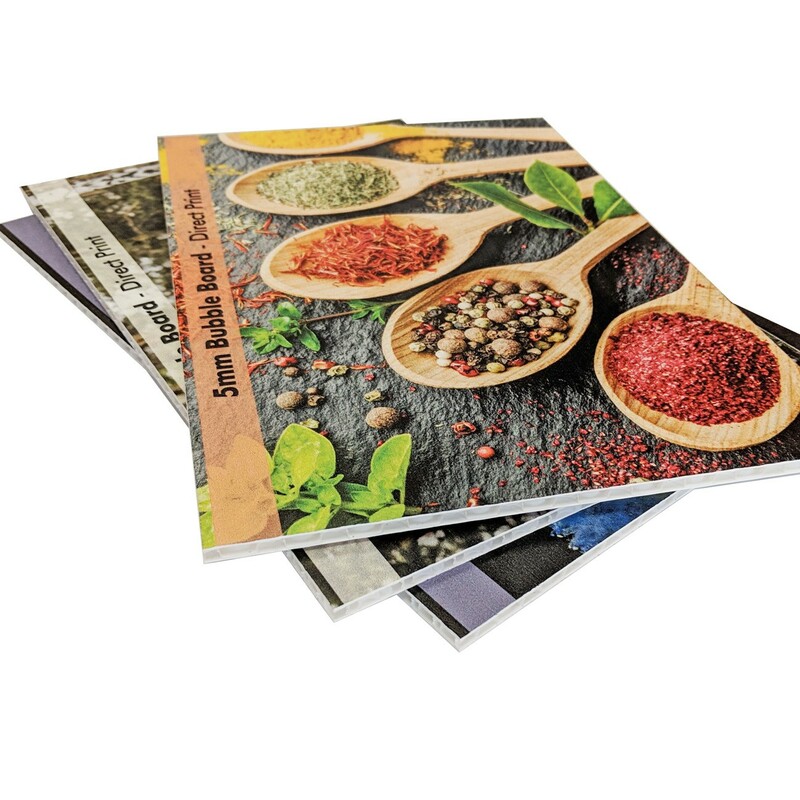 It is also 100% recyclable so is the perfect choice of print if you are looking to reduce your carbon footprint. What is the difference between bubble board and foamex? Foamex is a solid rigid PVC board, whereas bubble board is made of a bubble cell structured center, making it a lot more lightweight but retaining sturdiness at the expense of being a solid board. Is Bubble board suitable for indoor and outdoor use? Yes, the bubble board is waterproof and sturdy making it ideal for indoor and outdoor use.